I love markets…anywhere! The ones overseas are so different and so very interesting and this one is even more so. I sure would love to walk around and browse. 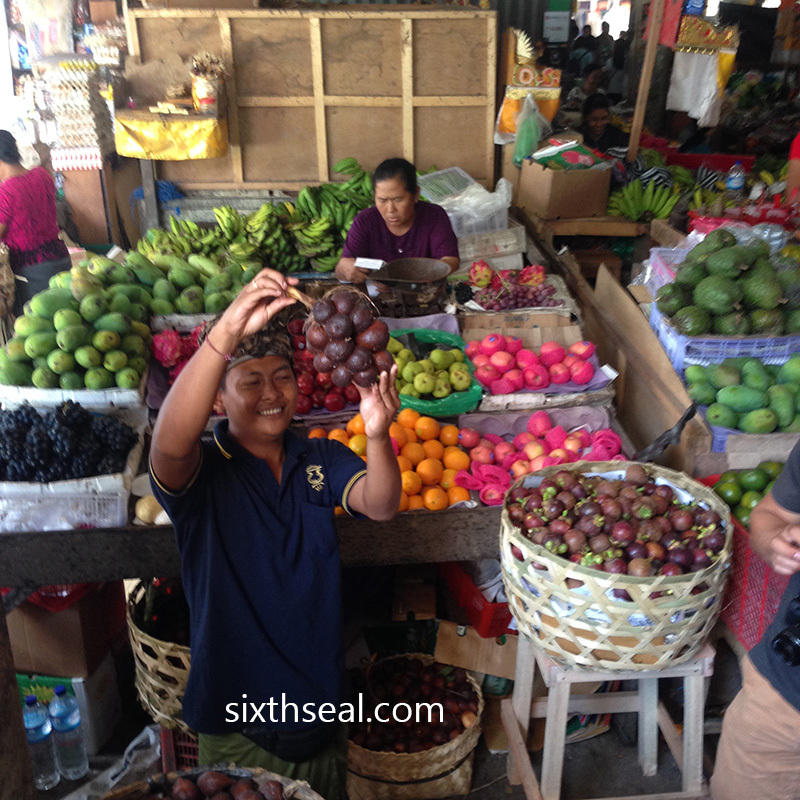 They find our Sibu market very interesting too, the biggest in the country and different in more ways than one from the ones in the peninsula, or so they say. Yeah, I’ve always loved going to markets in different countries. We’ve been to a really nice on in Germany too, couldn’t speak the language but by pointing and asking (with some bad English on their part) we bought a lot of deli meats and jelly suspensions (one of their specialities) for a nice lunch. Sometimes our better halves are better planners with brilliant & impossible ideas that work. Lucky you! I just realised I didn’t see this area of Ubud as I had no idea this small town exists. 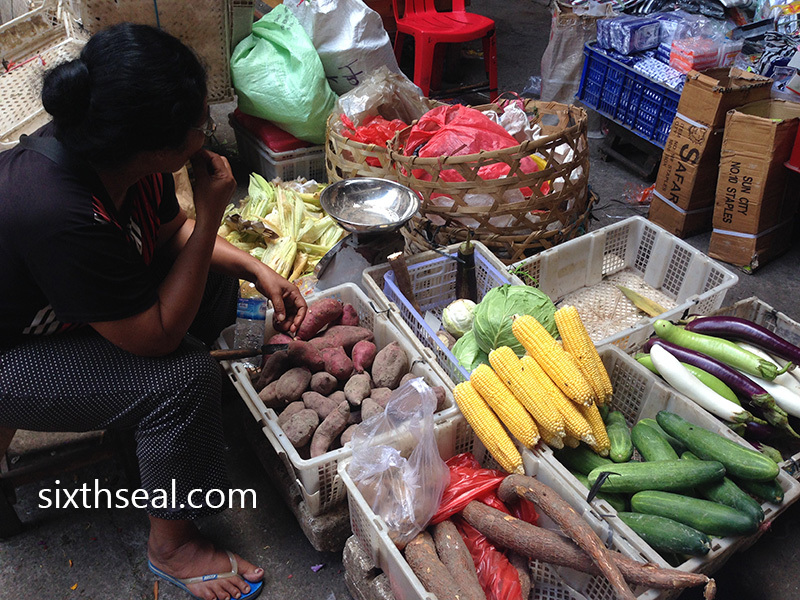 I myself love to visit local markets and even back lanes of the streets in overseas. Thank you for sharing the vibrant photos. Yeah, she’s really awesome for booking something that we both like to do. 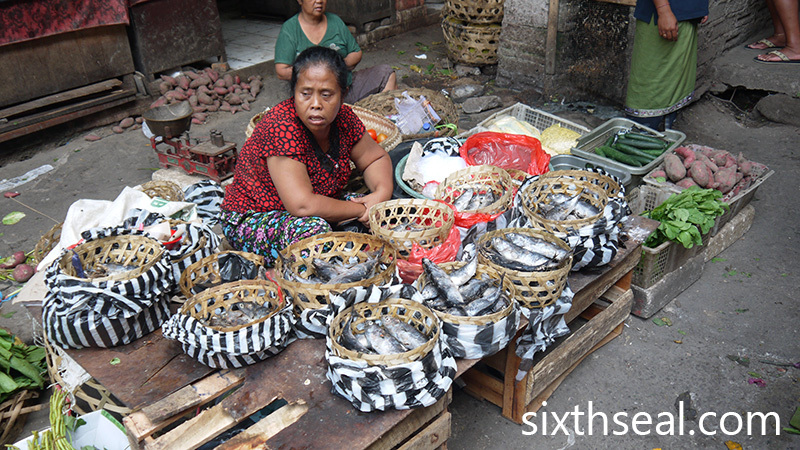 It’s so different too – learning how to cook Balinese food in Ubud. Brilliant stuff. Ubud used to be a backpacker town, really small when I first came here in the early 2000’s but it’s quite commercialized now. 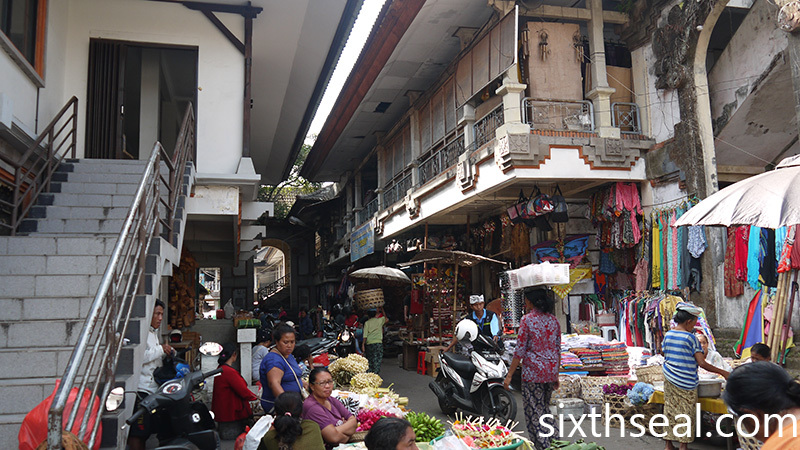 I can’t believe how much has changed in 14 years, the tourist trade has made Ubud like how Kuta is now. What is that fruit? Can get over here? Curious, never tried before. It’s a South American granadilla! 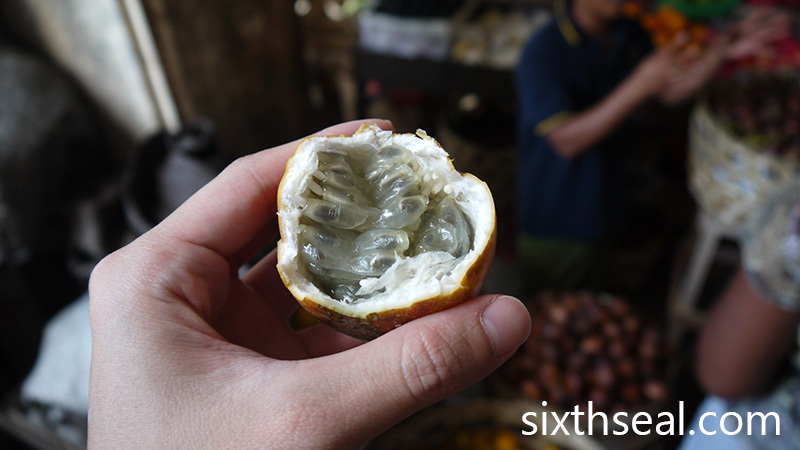 I’m not sure if you can get it in Malaysia though, they call it a passionfruit, which it both is and isn’t. We get the normal passionfruit here but I’ve never seen granadilla here. It’s not impossible though, we have a lot of imported stuff e.g. kiwano, which I’ve never thought would be available in KL. 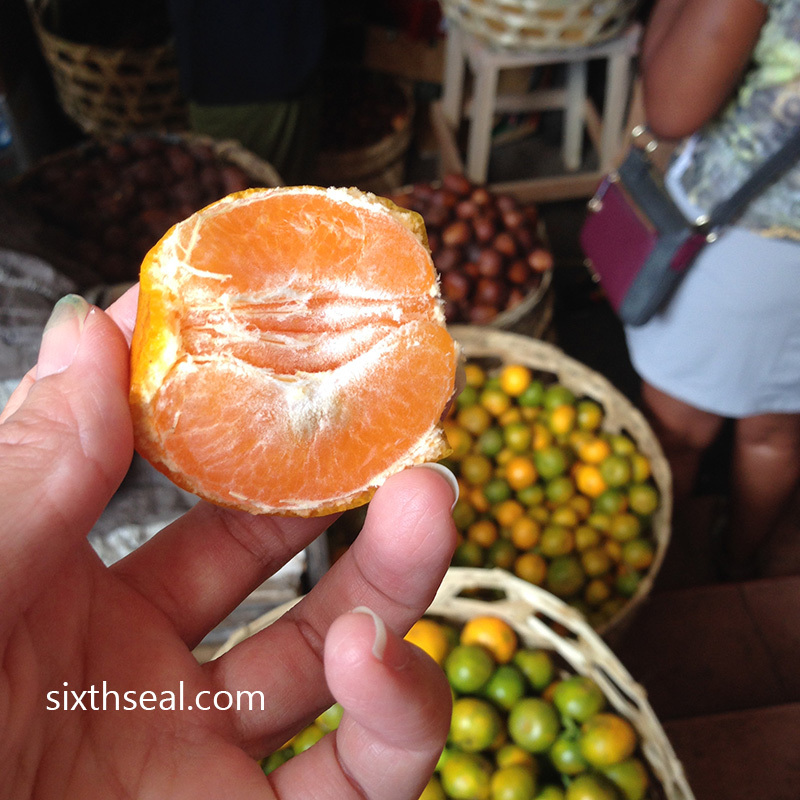 After cycling in Ubud, the locals gave us free oranges from their orchards…yea, it looked exactly like the one u had. 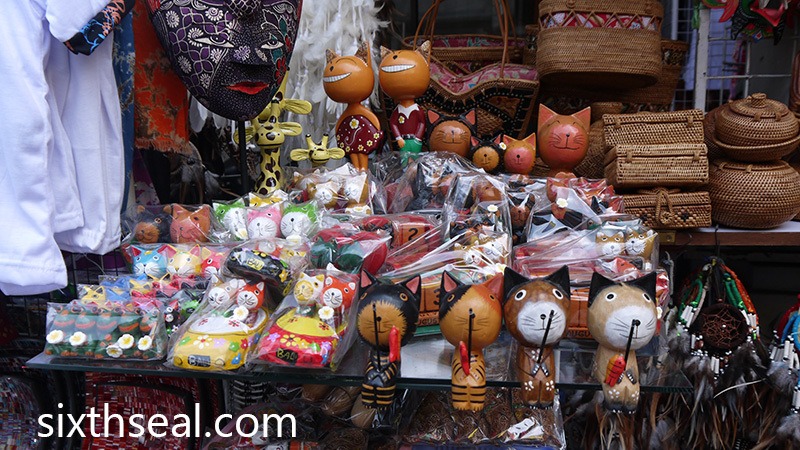 I enjoyed strolling in morning markets too (especially when in foreign land) as u get to see their what their locals have, but unfortunately I did not get to visit Ubud market. Nice! It seems like a fun thing to do cycling in Ubud! I think we’ll try that next time we’re in Bali, have heard of people cycling in the interiors and in the Muslim majority island of Lombok. Lombok is quite different from Bali coz it’s not majority Hindu so it’s a little like a Malaysian island but more people are going there nowadays coz it’s relatively unspoiled. Haha! 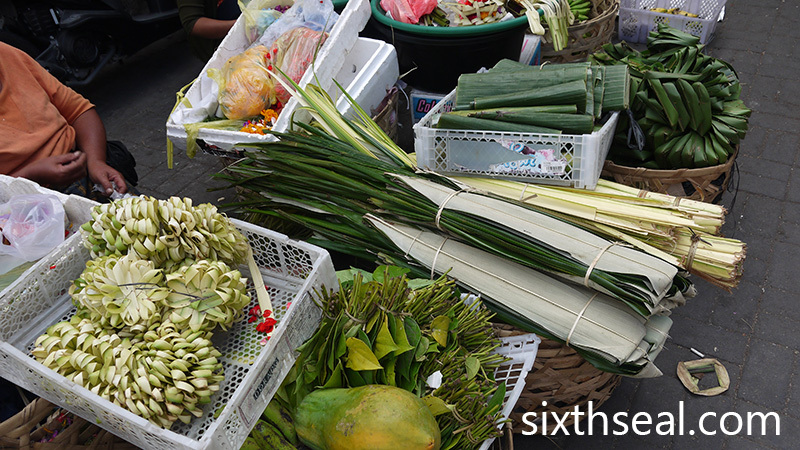 I do go to markets in KL and PJ. It’s quite fun though, can find unusual stuff sometimes – we have gotten baby sharks, live frogs and eels from markets before. Reading your post makes me wanna go traveling!! We got another trip coming up soon, this time to Japan. wow…it’s so happening over there! 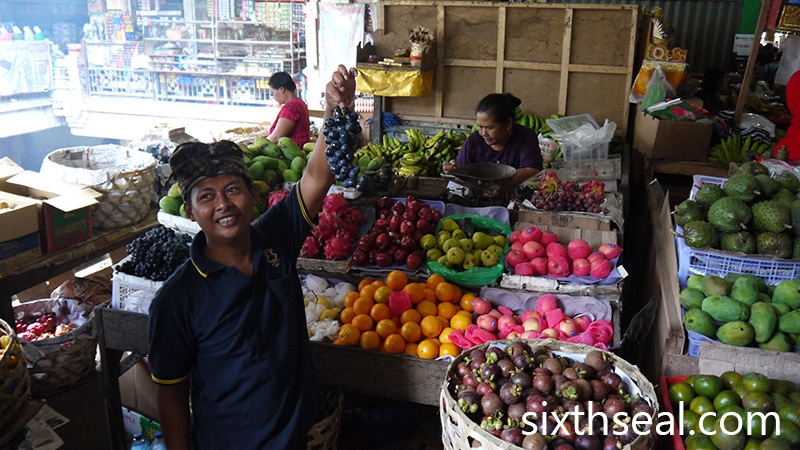 Love the refreshing view of the market as well as the fresh produce! Yeah, it was a lot of fun! 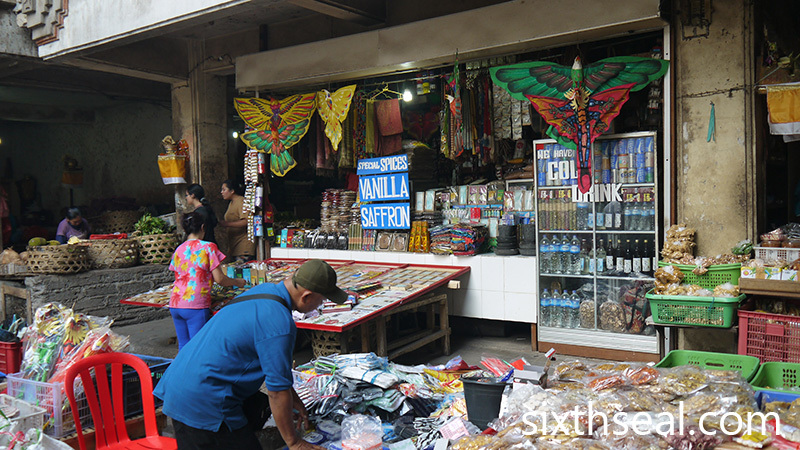 The market visit was refreshing coz it wasn’t a tour where they’re constantly trying to get you to buy stuff. It was more of a value add thing to the main cooking course. The Theory of a certain color of plastic bag – how did it come about? And what is the color of plastic bag? Haha! I don’t honestly know! You have to ask my better half. I think it’s something about a certain color of plastic bag means you don’t bargain and is easier to “cheat” and if it’s another color you drive a hard bargain and other sellers will know if it’s the former and ask for a higher price. I love those passionfruits! The white-fleshed ones are the best, they have a really special “grapey” taste. Glad you got to try them. Still a bit early for durian there I guess? Should be end of November. Yeah, I believe they’re quite common in your part of the world! I’ve personally never had them until now. They’re soooo good though, very sweet, unlike the sour regular passionfruit. Both has their merits though, the regular passionfruit we get here tastes wonderful when juiced. I can’t find any durians in Sibu! I’ll try looking again this weekend. 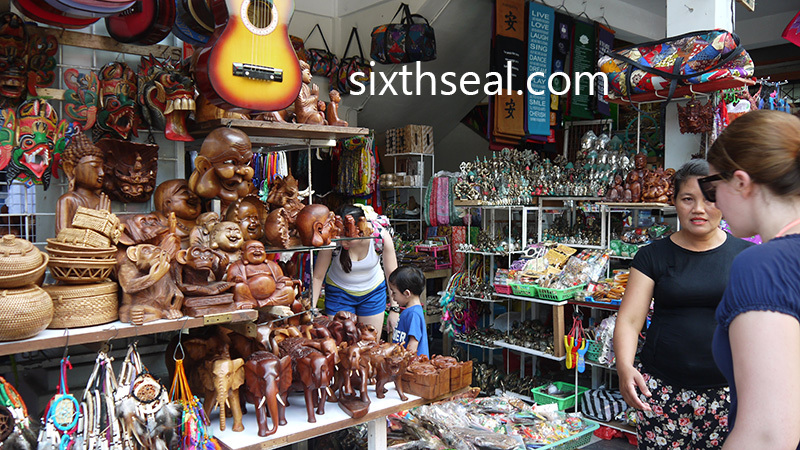 Many things to see and buy in Bali. 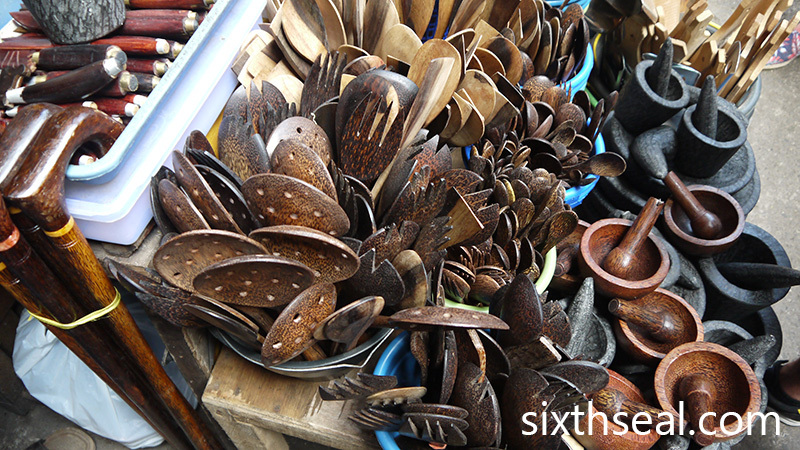 Yup, we went to Ubud instead for the culture. My better half did go to Kuta though when I was in Taiwan (she came earlier coz I was held back by the Taiwan trip) so I only joined her after I got back. I have been to this market. Yes, a lot of things to see and the vendors not aggressive as some. Yup, it’s a nice place to buy stuff. We also got a pestle and mortar made of volcanic rock from Bali. 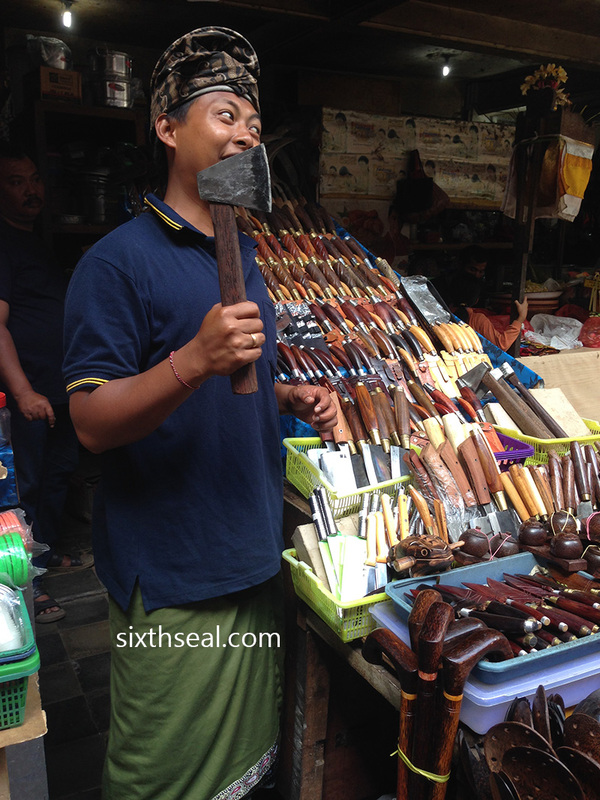 There’s a lot of interesting things like that in Ubud Market. I hear there was another volcanic eruption lately which stranded a lot of people in Bali. More material for making the volcanic rock pestle and mortars then. Haha! Might be, I’m not sure it sounds plausible though, the plastic bag theory.